Dr Babar graduated from the Armed Forces Medical College in Islamabad, Pakistan in 1991. He trained in Radiology at the Royal Free Hospital in London and did his fellowship in body MRI imaging at St Bartholomew’s Hospital in London. After his training he was appointed as a Consultant Radiologist at The Hammersmith Hospital along with a Senior Lecturer post at The Imperial College, London. Dr Babar has expertise in both CT and MRI scanning. His interests include orthopaedic and musculo-skeletal imaging, as well as oncological imaging of the gynaecological tract. 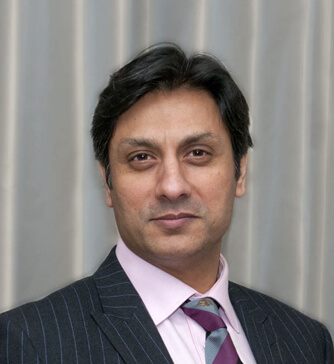 Dr Babar is the Lead Consultant Radiologist for Gynae/Oncological imaging at the Hammersmith Imperial NHS Trust. He is also one of the lead specialists in musculo-skeletal orthopaedic imaging, and rheumatology imaging at the Hammersmith Hospital. Dr Babar has also trained in cardiac CT coronary angiography at the Erlangen University in Erlangen, Germany. Dr Babar has research interest and has published various articles in peer review journals in radiology, both in the UK and abroad. He is an Assistant Editor of the clinical Radiology journal of the Royal College of Radiologists. He is also on a busy lecture circuit both in the UK and internationally.